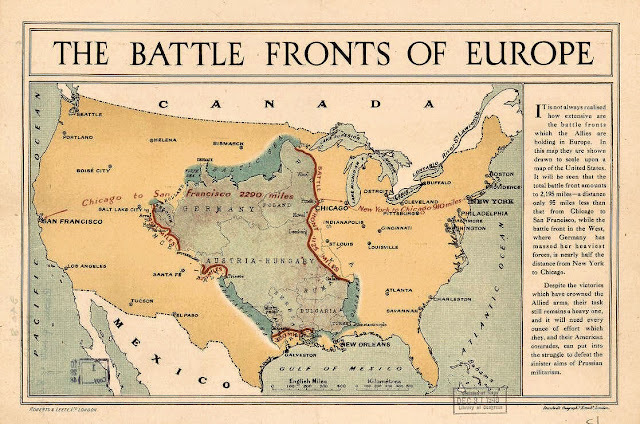 This map from the Library of Congress collection was created by British cartographer Edward Stanford during the war. It gives Americans the scale of the war being fought at that time. Also, it must have been eye-opening to Europeans. It has been my experience traveling to Europe, the U.K., and Ireland that many folks there, especially those who have never traveled to America don't quite grasp how large it is. I would guess that effect might have been greater in 1917 than now. This is an interesting map in terms of scale, even for armchair American expat historians like me. I knew the fronts were extensive in European terms, but perspective always helps. This is something I'd simply never thought of--and I greatly appreciate it. It remind's me of my Mom's geography book, printed in the 1920's. 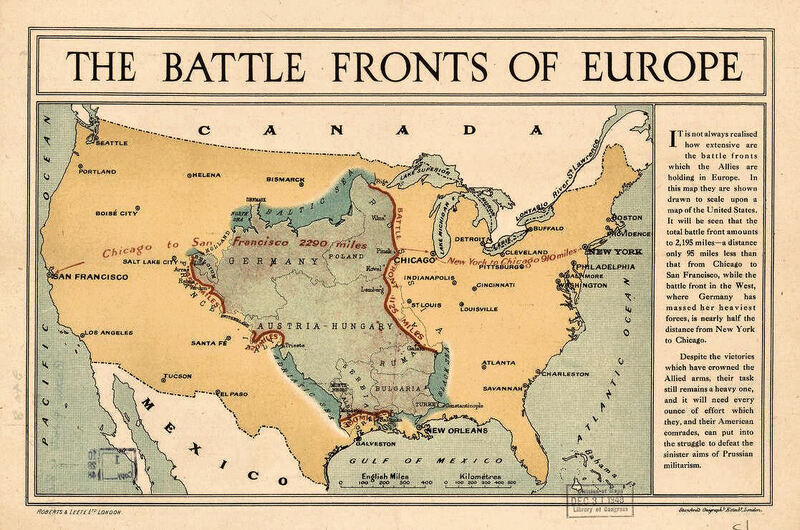 It depicts Western Europe in an overlay superimposed on the USA from about Illinois east. One thing it tells you is that a lot of trouble in the 20th Century emanated from a country just about twice the size of Michigan -- Germany.